Layout the loft in your roof space and see how best to use the space. Try out different positions and sizes for your roof windows, and see where best to accommodate that water tank. 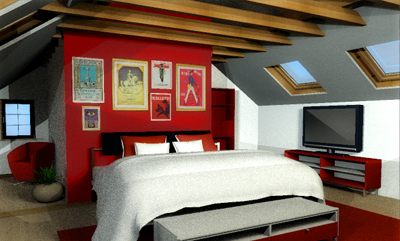 If you have a loft and want to try out some loft conversion design ideas then start with Visual Building. In the UK the regulations were relaxed in 2008 and many conversions fall within Permitted Development Rights and do not need planning permission. Visual Building will help you design your conversion and allow you to test using Dormer windows or Velux style windows. Roof windows are easy to add and move to try out different lighting combinations. A loft conversion project does not need the floor plans of an entire building. Only the floor plan of the loft level needs to be included, however if you would like to include stairs to a lower level, then the lower level plan needs to be included, but not necessarily in detail. Loft conversion projects can be achieved with all versions of Visual Building however we recommend the following products to prepare and design your loft conversion. 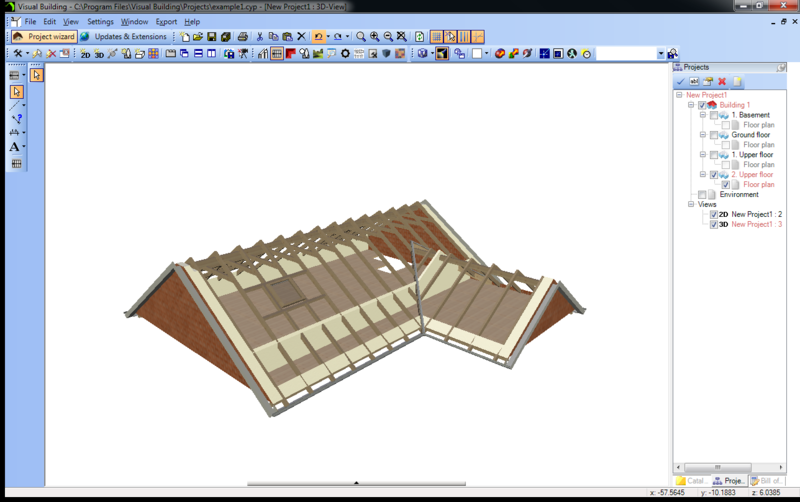 Its likely that you will encounter some very different loft designs, and will need the ability to edit / move rafters, and merge roof sections. For this reason we recommend Visual Building Premium. DIY Enthuisiast attempting own loft conversion. In addition to the 2D plans and 3D visualisations, you will need to be able to create elevation views, create roof-cut outs and extensions. For this we recommend Visual Building Professional. 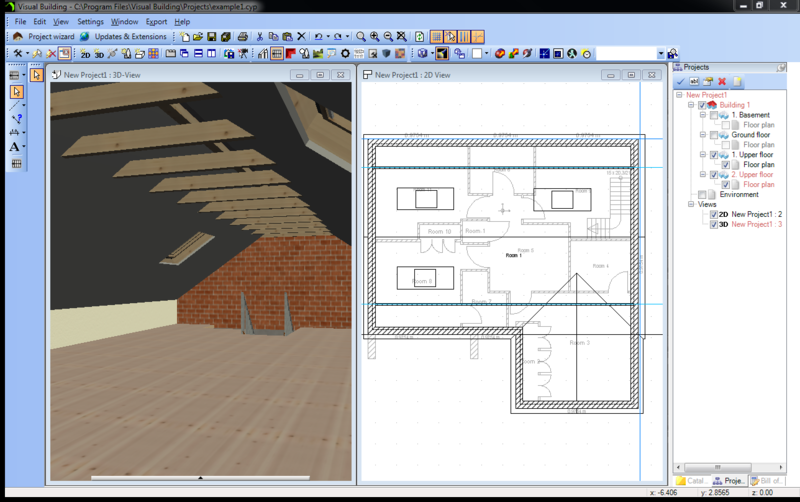 If you are a home owner, just experimenting with some ideas on what is possible with your attic, then we recommend Visual Building Basic. If you have a complex shape loft and may need to edit timbers in the loft then you can later upgrade to the Professional or Premium versions.